All this to say, she retweeted me last night! This week’s episode started out super cute. Zoey’s monologue started off with the joys of living with her best friends. Then she started talking about how it wasn’t all roses, but they still stuck together. I’m liking this non-toxic energy. After the face-masks and movie nights, we start to see how different the girls are. Nomi’s indifference to personal space, Ana’s passive-aggressive Venmo habits, and Zoey’s constant shedding are addressed. But it doesn’t end there, there’s also the issue of Nomi’s constant hookups, and I mean CONSTANT. This girl gets mad play. Ana and Zoey confront Nomi on it. Nomi tries to say that her hookups are the same as Zoey having Luca over all the time, but that’s shut down pretty quickly. Apparently, Luca’s a quiet lover whereas Nomi is not. Nomi agrees to have less hookups in the apartment. Emphasis on less. The professor uses the ad to spark a discussion on misogyny. Ana accuses Nomi of being misogynistic. Nomi rebuttles that women can’t be misogynistic. This made me think of the whole “black people can’t be rascist” debate. Those are two pretty nuanced issues. Ana actually made some pretty valid points. Zoey asked the professor her take on whether women could be misogynists. The professor said she’d need more information which Zoey gave willingly, in front of the whole class. It was kind of awkward but totally something I could see happening in a class like this. The weird thing about it, is that Nomi exclusively hooks up with straight girls. She calls it a first class experience for girls wanting to experiment. That’s the real issue Ana has with the situation. She feels like Nomi is just using these girls. Zoey seems to be on Nomi’s side at the start of the issue while Ana feels like Nomi is just as bad as a guy playing girls. Later on, the group is split at the bar. Ana, Sky, Jazz, Aaron, and Vivek are hanging out together while Zoey and Nomi are off doing whatever. Nomi called Ana out on that kiss from last season and the group starts messing with Ana about it. She tells them she just tried it because she’d never kissed a girl before. Sky starts talking about all the things that Ana has never done. Ana calls out Aaron for never shotgunning a beer, despite the fact that he’s a year older than the rest of them. 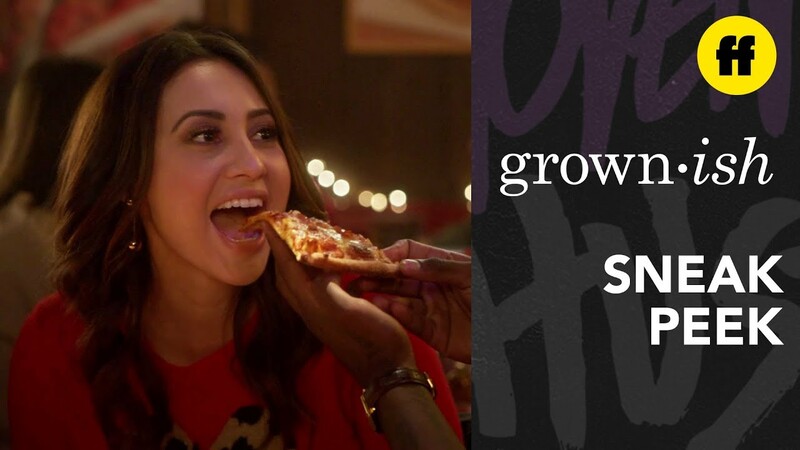 Aaron decides that everyone’s going to have to do something they’ve never done before over the course of the night, starting with Ana trying pineapple on pizza. Vivek does karaoke and Sky kisses a white boy. It’s quite an interesting night. Zoey ends up watching Nomi “in action.” Nomi starts talking to a girl who’s Tinder date stood her up. Throughout the night, Zoey starts to see things from Ana’s perspective and she confronts Nomi on it. Nomi is honest with the girl about how it’s just a hook-up, nothing serious. Nomi gets a taste of her own medicine when the girl tells her “it’s not like I’m bringing you home to my parents.” This hits Nomi pretty hard and she starts to see the error of her ways. While all this is going on, Aaron walks Ana home on his electric scooter. They have a little conversation and his scooter runs out of gas for the 100th time. Aaron ends up kissing Ana but I’m sure we all saw it coming from Episode 1. I don’t know if I’m here for it yet, that might take a little more time for me. I just can’t wait to see what Zoey says about all of this. Nomi goes to the Gender Studies professor to talk about her situation. The professor relates to Nomi’s struggle right away and can already tell she’s bi without having to ask. The conversation ends with Nomi realizing that the real problem is the fact that she hasn’t told her parents about her bisexuality. It brings in some real issues that people in the LGBTQ+ community have to deal with. And let’s not forget about the karaoke special that Jazz and Sky gave us at the end. They were harmonizing like the artists they are. Overall, I think this episode was so well done! 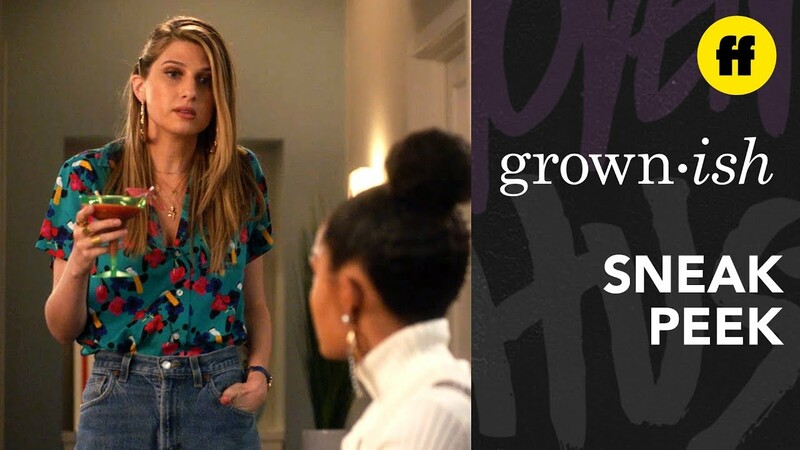 Grownish is back on the comeup, y’all. This week’s episode was more focused on Zoey’s friends and their problems. I’m so happy with the direction it took, even if we don’t know what Zoey’s doing with her schedule. Last week, Grownish had me stressing. Every episode was so focused on Zoey and what she was doing, but getting that little bit of Jazz’s perspective helped bring in some more layers. What do you think will happen next episode? How do you feel about Nomi being a player? When do you think Zoey will find out about Aaron and Ana? How do you think Zoey will react? Am I the only one that thinks Sky and Vivek would be cute together? 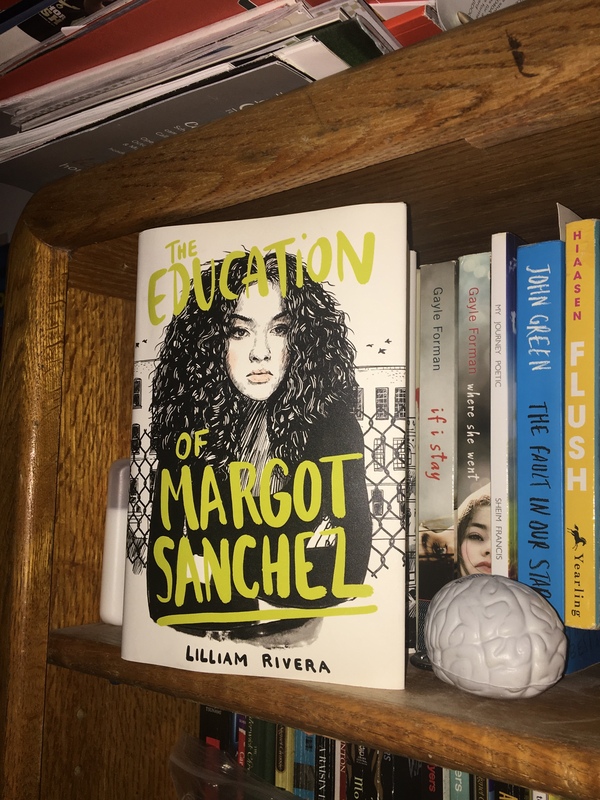 The Educated Negra • This entry was posted in Show Review and tagged Blogger, Discussion, Diversity, Entertainment, Grownish, Recap, Representation, Review. Bookmark the permalink. Aww! It’s so sweet that she retweeded you! 1. I’m not sure what will happen next episode, but I think at some point they are gonna have to address Ana and Aaron. Zoey’s schedule my pop back up. 3. I think Zoey will find out some time this season. They can’t end the season without that. 4. I really don’t think she will trip. She shouldn’t. Her and Aaron were not that serious and yeah she had a crush on him, but she chose Luca. 5. I want Sky and Vivek together. I’d love to see what Sky is like as a girlfriend and him as a boyfriend. Especially toward each other. Yes, I definitely want that. I’m glad I’m not the only one. I fear that they wont do this, however, because there are already sort of two couples in the group (Zoey & Luca and Aaron & Ana). I’m also glad that Zoey wasn’t the main focus this episode. I really want more story lines for the others. I hope they address Zoey’s schedule, I want to see what happens. Sky and Vivek would be sooo cute. I want more story lines where they’re the focus.It was a good decision to put Zoey on the back burner for this one. It was such a good episode!